*This post was written by U.S. Captain Fred Couples and was initially published on presidentscup.com on February 15, 2013. To view the original post, click here. 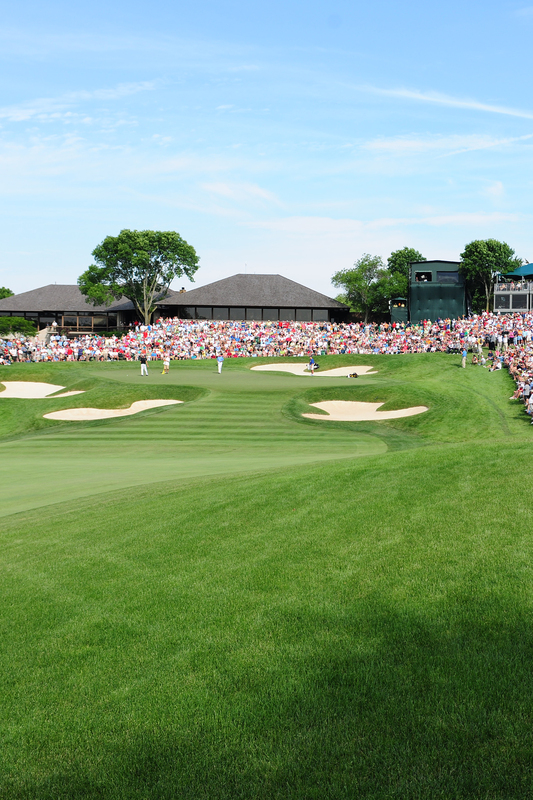 Muirfield Village Golf Club - the site of the 2013 Presidents Cup! Hello from LA! It’s fitting that my first blog for the 2013 Presidents Cup is coming to you from the Northern Trust Open, one of my favorite golf tournaments to play in, and one of my first chances of the year to see a lot of the guys who are going to be working to make the U.S. Team over the next several months. This is one of our top-three courses on TOUR, in my opinion. It’s right up there with TPC Sawgrass and Muirfield Village Golf Club as my all-time favorites. I’ve only played one event so far this season – the Champions Tour event in Hualalai – so I’m a bit rusty, but I’m still very excited to be teeing it up at Riviera for the 31st time. I found out the other day that I’ve now played in this event more than any other player in history. That’s really hard to believe, and it’s hard to hear that without feeling old! I’m paired with Bubba Watson and Lee Westwood for the first two days; Bubba was probably 4 years old when I played the Northern Trust Open for the very first time. As far as The Presidents Cup goes…wow, what a start to the season for my U.S. guys. Dustin, Tiger, Phil and Brandt have all kicked off 2013 with wins and are right at the top of the U.S. Team standings. And then you’ve got rookie Russell Henley winning right out of the gates to get his name on the list and veteran Brian Gay outlasting the field at Humana, so he’s just outside the top 20. I’m in between being thrilled about all of these guys playing so well and really nervous about how I’m possibly going to narrow it down to two captain’s picks in September. If things keep going this way – and I hope they do – I’m going to have a lot of great players to choose from. A good problem to have, for sure. I saw that Nick Price wrote in his first blog that he’s already picked out his team’s clothes. Nick is a pretty organized guy anyway, and as a “rookie” captain, he’s probably even more buttoned up. I’m sure you’re not surprised to find out that I’m not quite that far along in the process! But don’t worry…the U.S. Team won’t have to wear hand-me-downs or anything. We’ll keep you posted on how things are coming together in the next month or two. Until then, thanks for your support of the U.S. Team and The Presidents Cup. I’m really looking forward to October, and I hope you are too.